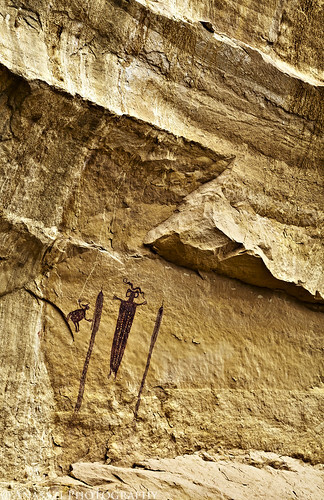 Here’s another photo of the Skeleton Shaman which has got to be one of my all time favorite pictographs to visit. Not only are the pictographs interesting, but the condition of the panel is also excellent. This photo shows more of the shallow alcove that these magnificent paintings are located in.